Each and every one of us have trials in our life. Many have sicknesses that have come and gone. Others have sicknesses that have made permanent residence in their mortal tabernacle. There are those who have received a trial because of the poor use of agency of another. And there are those who have received a trial because of the poor use of their own agency. With all that said, I wish to share 3 principles that were made clear to me a few months ago. 1. My trials are some of the best teachers I have met in mortality. 2. God’s timing is the best path to spiritual development. 3. 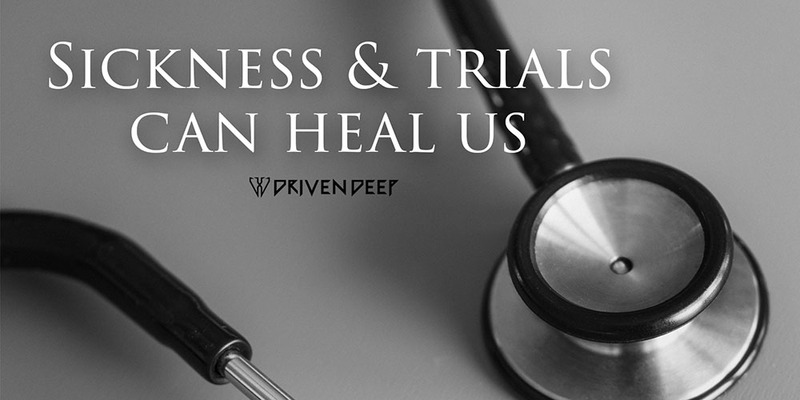 Sickness and trials are healing agents to other dimensions of the soul. One: “My trials are some of the best teachers I have met in mortality”. Trials force me out of my comfort zone, they challenge my body and mind to do things I would not normally do. Trials, in many ways, are the pathway to pearls of great price. Sure, in the moment a trial can be hard, but if endured it will lead the soul to spiritual mysteries, blessings, and gifts beyond comprehension. Similar to running or weight lifting, when we force our muscles to do things outside of their comfort zone, we are literally ripping them apart. But over the long term, this ripping effect allows your muscles to rebuild themselves into something bigger and stronger then they were before. Trials may hurt in the short-term, but over the long-term they will develop our soul into something we never thought possible. Three: “Sickness and trials are healing agents to other dimensions of the soul”. What is the natural reaction when we are sick or otherwise afflicted? Answer: To get rid of that sickness or affliction as quickly as possible. Whether its something as little as a cold or as immense as cancer, it’s mankind’s natural inclination to get rid of those things which make life uncomfortable. Now, don’t miss understand me. I am in no way saying to not try and get rid of sicknesses you may have. Living in the 21st century, the medical advances we have access to are incredible and should be used to whatever extent we feel necessary. The point of this last paragraph is not to dissuade people from being healed, but to help them understand that there are wonderful blessings one can experience amidst horrible trials. A particular sickness may be damaging the physical dimension of our soul, but if you look closely this same sickness may be healing another dimension of our life. For example, you may have hurt yourself while playing your favorite sport. On one hand, your body has become broken and crippled. On the other hand, this trial may be healing your soul of pride and ego; spiritual tumors that have flourished through years of praise and admiration of others. With all that said, having a sickness or trial does not guarantee that other elements of your life will be healed. The potency of these healing agents is determined through your mindset and perspective on life. Healing will only occur if you are seeing life through spiritual spectacles. In conclusion... God cares about our current roadblocks, but more than that He cares what we can become. He is not so worried about the momentary pain we are in, but in how our soul will develop through years of struggle and hardship. Life is full of ups and downs, God is aware of this. His goal is that over the long-term we are just going more “up” than “down”. He is also aware we will lose many battles during our mortal sojourn. But His primary focus is far beyond the battles we lose. His great concern is, that in the end we win the war over our soul.